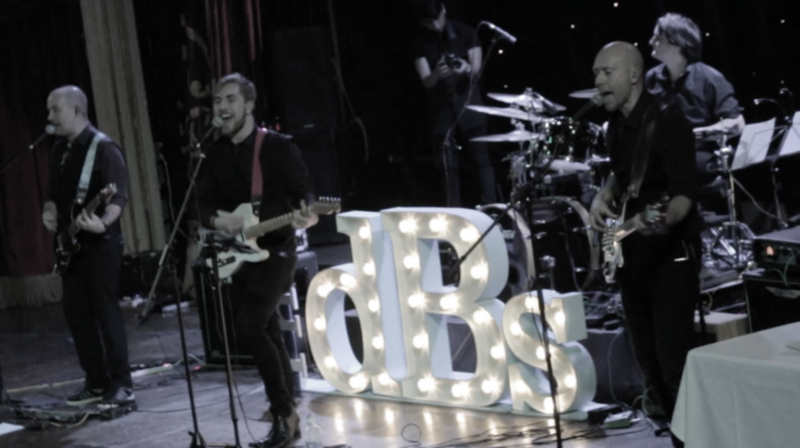 Function band based in the north west with over 10 years' experience | The dBs is a collective of regular Deadbeats band musicians who are available to book when The Deadbeats are unavailable. They offer the same outstanding service as the main band. Please check out some recorded demos plus our LIVE showcase demonstrating the versatility of The dBs. Just a note to thank you for making the party so brilliant on Saturday 12th Jan.
We have had so many thank you cards saying how brilliant the band were. The dBs were absolutely amazing! A big thank you for making Steph's birthday celebration a night to remember. everyone commented on how fab you were. If I ever have any future events I will not hesitate in booking you again and will definitely recommend you to anyone. Just wanted to say a high thank you! The dBs were absolutely amazing, brilliant, fantastic!!! We had the best day ever and everyone commented about how much they loved your music. You certainly lived up to your reputation. Can't thank you enough. Just wanted to message you to say that the band were fantastic last night! Thank you for a standout performance on Saturday night. The pre-event booking process was so easy. Our guests danced all night an several have enquired after you. The two songs you learned for us went down really well. Without doubt, you are the best band I've ever heard. I just want to listen all over again! Thank you so much for an amazing evening. We had a fabulous evening and everyone has said what a fantastic band The dBs are. Thank you so much for playing at Dan's Birthday Bash. We've had a brilliant time. You guys were awesome and so many guests commented on how great you were. We travelled from Scunthorpe to Parbold for my cousins wedding. You're the best band I have ever heard play. Best band ever! The guests loved you! Just wanted to say thank you for playing at my Mum's 60th last weekend. You were brilliant! We would just like to say a big thank you for the entertainment at our wedding. The live band was amazing and everyone commented on how brilliant you were. Everyone was on the dance floor from start to finish. The live ceremony and wedding breakfast music was perfect. We just wanted to say that the band were absolutely amazing at our wedding. They were just awesome and everyone loved them! The band were excellent. I would definitely recommend them. They played a great set. Lots of people commented on how good they were. Great interaction on the dance floor. I just wanted to say a big thank you for Saturday night. You were really amazing and so many people have commented on how good you were. If we have a 50th party you'll be our 1st choice! On behalf of Sarah and myself I just wanted to say thank you for performing at our wedding on Saturday. We had the most amazing day and The dBs were a big part of this. The live music was incredible and the dance floor was buzzing from start to finish. Everyone has said how brilliant you guys were and I would recommend you to anyone! On behalf of myself and my husband we can't thank The dBs enough for the party on Saturday night. My only regret is that i didn't get to see enough of it. Every time I came back into the room the party was in full swing! The last hour when I was on a chair with a bottle of prosecco will live with me forever. It was amazing! On behalf of everyone at Chorley Panthers I'd like to say a huge thank you to The dBs. They had the room rocking from the off. 224 very happy guests. Would recommend them without a seconds hesitation. Thank you. I just wanted to let you know how thrilled we were with The dBs at our recent wedding. The band were absolutely fantastic from the first song they played; all the way through people were up dancing. The 1st dance played on our request (Land Down Under) went down an absolute treat - the Aussie contingency were in their element and it was a great start to get everyone going. Just wanted to drop you a note to say how fabulous The dBs were and how we appreciated their effort, demeanour and general star quality. They completely made the reception and we and our guests LOVED them! I danced all night until my feet fell off! Thanks to the band for the brilliant job they did over the evening. You played a very significant part in making the evening a great success. I will be telling everyone I know. On behalf of all the staff at Innovate I would like to thank The dBs for making our work's Christmas party truly Spec Tac U Lar!! Wow!!!! What an amazing band! I think literally every guest came up to say how amazing you were. How full the dance floor was from the second you started says it all!!! Thank you for a fantastic round off to the day - we'll definitely recommend you! Just a quick note to say that the band were fantastic on Saturday. We had a great night and everyone was raving about The dBs. The mix that you created for our 1st dance was perfect...I certainly surprised a few people with my rap! Thanks again for making the party last Friday extra special fun!! We will be in touch again when we have another party on the cards! 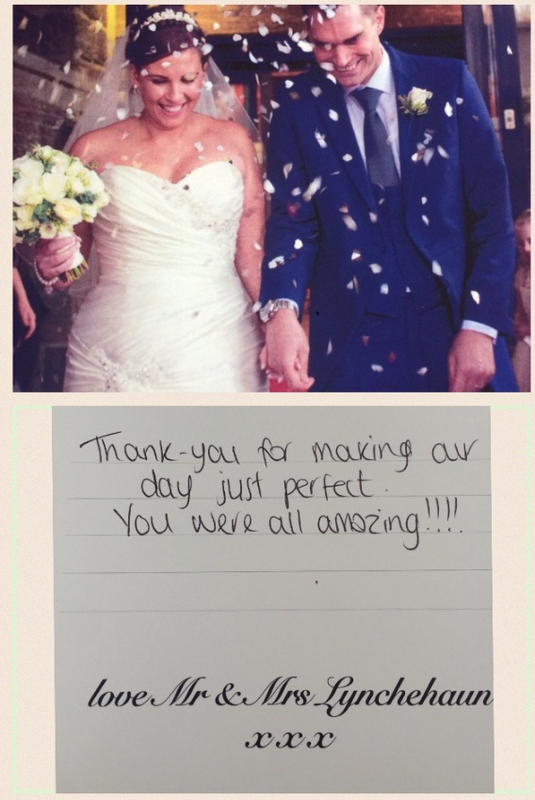 Thank you for making our day just perfect. You were all amazing!